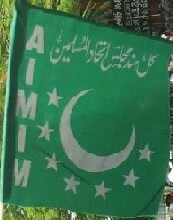 MiM Leader Akbaruddin Owaisi in Andhra Pradesh State Assembly Hall. 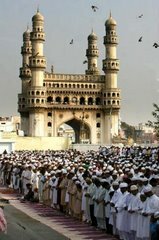 Hyderabad: The MIM has expressed serious concern over the mounting traffic woes in the state capital and blamed the police for ignoring the regulation duties. 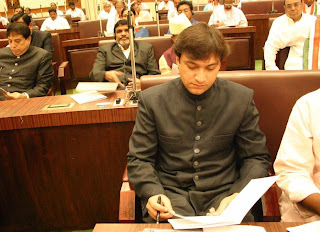 Raising the issue during Zero Hour in the Assembly on Thursday, MIM floor leader Akbaruddin Owaisi pointed out that the traffic police had been ignoring the regulatory work as they were busy imposing fines on helmetless drivers. "In every nook and corner of the city you find the police busy issuing challans and not regulating the traffic," he said and pointed out that a whopping Rs 15 crore was collected in 2006 as compounding fee. He wanted to know how much of this amount was spent on improving the traffic junctions, signal lights and others. Stating that Hyderabad has the largest vehicle density in the country — 2337 vehicles per kilometre — Akbaruddin lamented that the road availability, however, was only six per cent. The total number of vehicles in the twin cities had crossed 22 lakh with autos numbering over 1.5 lakh, twowheelers 16.8 lakh and cars 1.67 lakh, the MIM leader said and pointed out that the police were grossly understaffed to control the traffic. "There are about 150 vacancies but no steps are being taken to fill them up," he said. Reacting to this, home minister K Jana Reddy said a joint meeting would soon be arranged with three ministers — municipal administration, home and transport — to look into the traffic problems and find a solution.